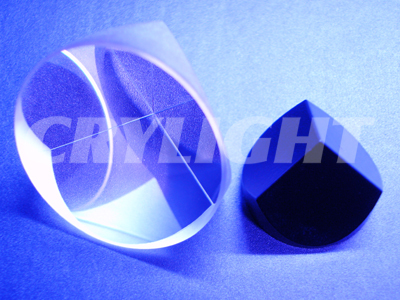 Corner Cube Retroflectors are used to reflect light beam back to the direction that it comes from. The reflected beam is always parallel to the incident beam, and it travels in the reverse direction of the incident beam. This holds true regardless of the angle of incident beam. The beam reflection is achieved either through total internal reflection or by a mirror coating on the rear surfaces of the retro-reflector.An incident beam, filling the effective aperture, is reflected exactly back on itself. Protective AL coating can be applied to the rear reflecting surfaces to avoid total internal reflection failure at high incident angle.